Captain Simratpal “Simmer” Singh is a devout Sikh and decorated Army Captain who was forced to choose between serving his country and wearing the articles of his faith: his unshorn hair, beard, and turban. The Army gave over 100,000 soldiers medical and other exemptions from its 30-year policy of banning beards and had no good reason to discriminate against Sikh soldiers, like Simmer, who required an exemption for religious reasons. In February 2016, Becket, along with the Sikh Coalition and the law firm McDermott Will & Emery, filed a lawsuit on behalf of Captain Singh, and secured a court victory under the Religious Freedom Restoration Act. In January 2017, Captain Singh won the right to serve his country while following his faith when the Army issued new regulations stating that Sikh soldiers will not be forced to abandon their religious turbans, unshorn hair, or beards throughout their military career. In January 2017, the Army ended its thirty-year beard ban and issued new regulations stating that Sikh soldiers will not be forced to abandon their religious turbans, unshorn hair, or beards throughout their military career. Singh v. Carter. The Becket Fund for Religious Liberty (n.d.). Retrieved from https://www.becketlaw.org/case/singh-v-carter/. Singh v. Carter. (Apr. 04, 2019). https://www.becketlaw.org/case/singh-v-carter/. "Singh v. Carter." The Becket Fund for Religious Liberty. Accessed [Apr. 04, 2019]. https://www.becketlaw.org/case/singh-v-carter/. Military service has a rich legacy within the Sikh tradition: observant Sikhs have served in the U.S. military from at least World War I through the Vietnam War. For Captain Simratpal “Simmer” Singh, a committed Sikh, the legacy is also personal, as military service runs strong in his family. Endorsed by his local congressman, Simmer was accepted into West Point in 2006. But a 30-year ban on beards threatened Simmer’s ability to serve. As a child, Simmer Singh wore the patka, a small turban worn by Sikh children to cover their unshorn hair. In high school, he began wearing a full turban and beard—also core “articles of faith” in the Sikh religion—to remind him of the inherent dignity and equality of every individual before God. He expected to wear these articles of faith to his death – until he joined the Army. Simmer believed that he would be given a religious accommodation for his unshorn hair, beard, and turban, but on Reception Day he was told he had to cut his hair and shave or leave the Academy. Compelled on the spot to choose between serving his country and his faith—a decision no American should have to make—he chose to serve, committing to reclaim his articles of faith at the earliest opportunity. Captain Singh went on to serve with distinction for more than ten years. He completed both Ranger School and Special Forces Assessment and Selection Courses, received a Bronze Star Medal for clearing IEDs in Afghanistan, and attained his bachelor’s and master’s degrees in engineering. In 2015, Simmer learned about his rights under the Religious Freedom Restoration Act (RFRA), a federal statute passed by a bipartisan Congress and signed by President Clinton in 1993 with the support of an extensive coalition of religious and civil rights groups. RFRA prohibits the Army from suppressing an individual’s sincere religious exercise without a compelling government reason. In this case, the Army had no good reason for discriminating against Sikh Americans by banning their religious beard, since it gave nearly 100,000 soldiers exemptions from its beard ban for medical reasons. Special Forces Operators commonly wear beards on the front lines in Afghanistan. And observant Sikhs have continually served in the militaries of the United Kingdom, Canada, Australia, India, and throughout the world. In fact, Canadian Minister of National Defense Harjit Singh Sajjan is a fully-bearded Sikh and previously served alongside American forces in Afghanistan. In October 2015, Becket, along with the Sikh Coalition and the law firm McDermott Will & Emery, petitioned the Army to grant Captain Singh a religious accommodation. In December 2015, the Army issued a one-month accommodation under RFRA, but then shortly after, ordered Simmer to undergo a series of discriminatory tests that other soldiers who wore beards for medical reasons were not required to complete. On February 29, 2016, Becket, McDermott, and the Sikh Coalition filed a lawsuit on Simmer’s behalf to block the discriminatory testing and to obtain a permanent accommodation. 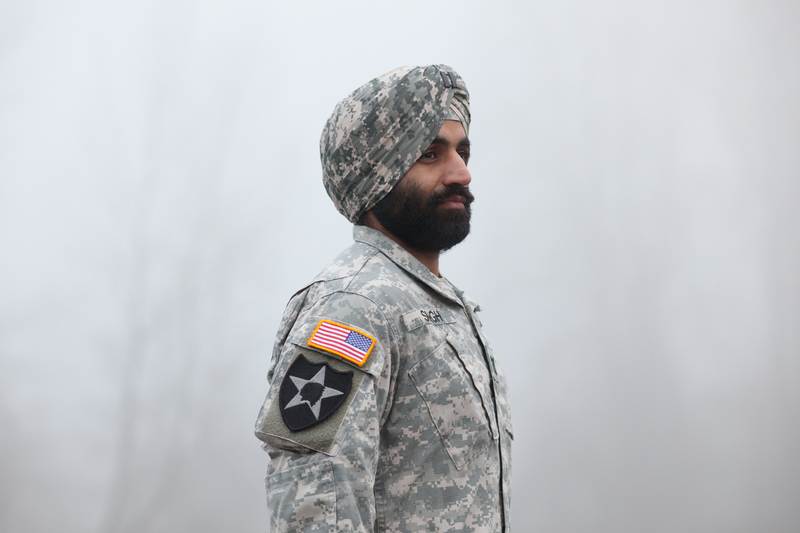 Days later, in a rare move against the Army, the court ordered the Department of Defense to cease all discriminatory testing against Captain Singh because of his religious beard and granted him temporary protection while the case was ongoing. In March 2016, Becket filed a similar lawsuit in Singh v. McConville on behalf of Specialist Kanwar Bir Singh, Specialist Harpal Singh, and Private Arjan Singh Ghotra and their right to serve in the Army without abandoning their Sikh articles of faith. Following the court ruling, the Army granted Simmer a longer accommodation that allowed him to serve with his religious beard, unshorn hair, and turban for up to one year. On January 4, 2017, that victory became permanent when the Army issued new regulations stating that Sikh soldiers will not be forced to abandon their religious turbans, unshorn hair, or beards throughout their military career. Individual freedom: Individual religious exercise encompasses more than just thought or worship—it involves visibly practicing the signs of one’s faith. Religious individuals must be free to follow their faith in all aspects of life, especially those who serve in our military to defend the freedom of all Americans. Public Square: Because religion is natural to human beings, it is natural to human culture. It can, and should, have an equal place in the public square. RFRA: The Religious Freedom Restoration Act ensures that the government cannot burden the religious exercise of individuals or groups to violate their deeply held beliefs without compelling interest or when there are reasonable alternatives to doing so.